The BBC has confirmed plans to close five of its 32 World Service language services. Staff have been informed that up to 650 jobs will be lost from a workforce of 2,400 over the next three years. The BBC estimates audiences will fall by more than 30 million, from 180 million to 150 million a week. Director general Mark Thompson said it was "a painful day" for the BBC. Writing in the Telegraph, he said the cuts would "inevitably have a significant impact on the audiences who use and rely upon the relevant services". Yet he said they were "consistent with our long-range international goals and strategy" and that "supporters of the international role of the BBC should not despair". The service, which started broadcasting in 1932, currently costs £272m a year and has an audience of 241 million worldwide across radio, television and online. Last October the government announced the BBC would take over the cost of the World Service from the Foreign Office from 2014. According to Mr Thompson, the cuts were necessary due to last autumn's Spending Review. Radio programming in seven languages - Azeri (the official language of Azerbaijan), Mandarin Chinese, Russian, Spanish for Cuba, Turkish, Vietnamese and Ukrainian - will end as part of the plans. Instead there will be more focus on online, mobile and TV content distribution in these languages. 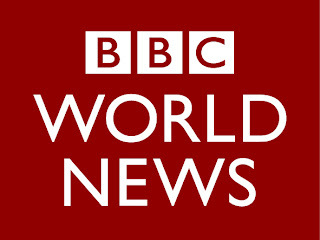 The World Service will also cease short-wave transmission of six more services in March 2011 - Hindi, Indonesian, Kyrgyz, Nepali, Swahili and the Great Lakes service (for Rwanda and Burundi). In a written statement to MPs, Foreign Secretary William Hague said the cuts in funding required "difficult decisions to be made". "We agreed with the BBC that the overall objective was to ensure the World Service should remain an articulate and powerful voice for Britain in the world, and a trusted provider of impartial and independent news." In Parliament, Mr Hague said the World Service had initally suggested to the Foreign Office the closure of up to 13 language services but he had refused to give permission. He said the World Service had a "viable and promising future", but was "not immune from public spending constraints". "It is absolutely right for the World Service to move more services to online and mobile," he said. "That is the way the world is going. "The World Service has to move with the future, and of course some services have to close." The BBC said two-thirds of jobs would go in the first 12 months. Unions have called the moves "ferocious" and have condemned the "drastic cuts". Speaking on BBC Radio 4's Today programme, Jeremy Dear, general secretary of the National Union of Journalists (NUJ), said that the World Service was "vital" and "should be protected". The NUJ said it would hold a demonstration outside the World Service headquarters in central London on Wednesday. According to the NUJ, the "drastic cuts" would "severely damage the national interest of the UK". "These ferocious cuts to a valued national service are ultimately the responsibility of the coalition government, whose policies are destroying quality public services in the UK," Mr Dear said. Broadcasting union Bectu has also expressed dismay, saying the cuts "must be challenged". It said the union "expects calls for industrial action" and that "at this stage we cannot rule anything in or out". "It is simply that there is a need to make savings due to the scale of the cuts to the BBC World Service's grant-in-aid funding from the UK's Foreign and Commonwealth Office. "We need to focus our efforts in the languages where there is the greatest need and where we have the strongest impact." Former World Service managing director Sir John Tusa described the cuts as "bad, bad, bad". Speaking on the Today programme, he said: "I think it's awful for World Service listeners because they won't have access to the programmes, and it is awful for British foreign policy because they are weakening substantially one of the most important elements of international cultural diplomacy."